Science fiction is home to some fantastic societies, from Cloud City to Bartertown. But you doesn't have to leave reality for this—our own world has places so abnormal, they make alien societies seem ordinary. 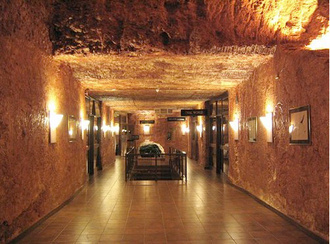 Here are 12 remarkable locations in which people once lived (and some still do). Off the coast of Japan lies a series of volcanic islands. 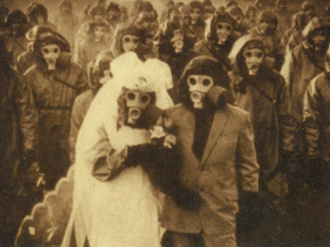 Due to the air being full of sulphur, they were evacuated as recently as 2000. However, citizens moved back, despite having to wear gas masks for most of their day. This is mainly due to a pension provided by scientists studying the debilitating effects of the environment. When the alien zombie virus hits Earth, these will probably be the only people left alive. Neft Daslari is a functional city built 34 miles from the nearest shore. 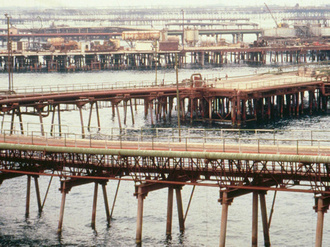 Located in Azerbaijan, the town began as an oil platform before growing into the sprawling megaplex it is today. It kind of resembles one of those apocalyptic Kevin Costner films, except it's not called "Oil World" and it doesn't go on forever. 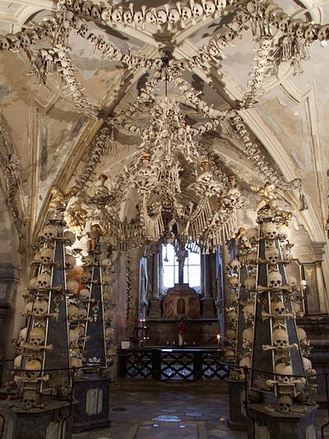 One of the creepiest places on Earth, Sedlec Ossuary is a Roman Catholic chapel in the Czech Republic. A popular burial site for nearly 1,000 years, the church eventually found itself with a bone storage problem. In 1870, a man was hired to arrange the bones, and he made the whole thing look like the love child of LEGOs and death metal. 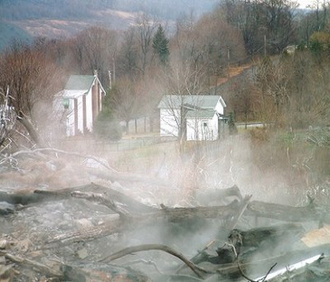 In 1962, a huge underground coal deposit ignited beneath the town of Centralia, Pa. It has been burning steadily ever since. Still, the hearty town residents stuck around until 1981, when sinkholes forced a near-total evacuation (probably because drunk people kept trying to pee on the fire). It's funny how something as boring as zoning regulations could lead to one of the most exciting office buildings on the planet. A conflict between highway builders and skyscraper builders led to a unique compromise and an eye-popping piece of architecture. 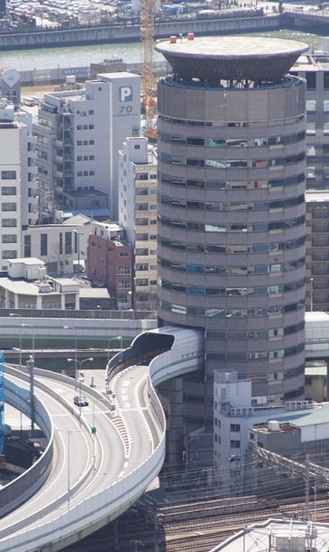 The highway is completely separated from the tower; otherwise the entire building would be constanty vibrating. Building employees are encouraged not to spit out the window. Inside a spectacular Spanish church sits an enormous glass box. 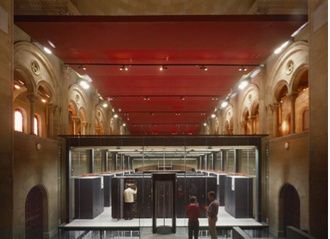 Inside that glass box is one of the world's fastest supercomputers. The public research center provides invaluable data to the Spanish Ministry of Education and Science. We argued against this, insisting the computer would become sentient and attempt to start a brutal religious regime. 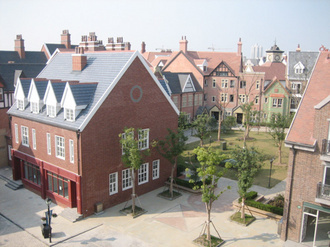 Nestled near Shanghai, China, is a quaint-yet-fully-functional re-creation of a classic English market town. This is just the start, as plans call for similar towns themed after Sweden, Italy, Holland, German, traditional Chinese, Spain, the United States and an ecologically-themed town. That's a lot of different places to stash No. 6 from The Prisoner. 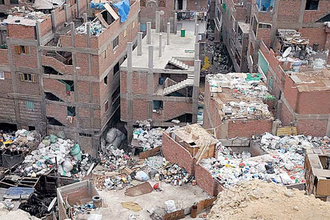 On the edge of Cairo lies a community whose entire economic system centers around collecting and sorting garbage. The bustling area has shops, houses and even the largest church in the Middle East. We're also guessing it probably has some of the largest homemade forts in the Middle East, too. 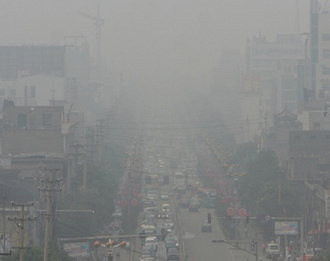 Originally nicknamed "the modern fruit and flower town," this Chinese city was home to the worst pollution of any metropolis on Earth. Before reform, belching coal plants continuously choked out the sun and citizens often had difficulty seeing their own hands. A crackdown on pollution and a switch to natural gas has resulted in dramatic improvements to air quality, which means citizens no longer have to wear black every day. 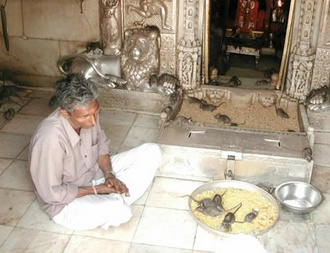 This Indian temple is home to the belief that reincarnation occurs as a rat. As such, thousands of rats roam freely among worshippers. Being barefoot is a must, probably because shoes are the rat's natural arch-nemesis. Due to an invasion by squatters, lawmakers turned a blind eye to this section of China from 1947 until 1973. 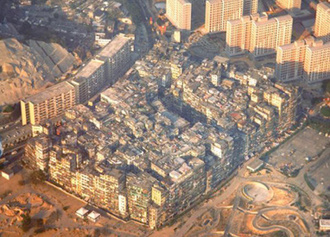 Notorious for being completely run by gangs, the lack of building codes created haphazard structures never seen before. The sun never touched many of the narrow streets until the city was demolished in 1994. This was as close to lawlessness as non-celebrities could ever get.